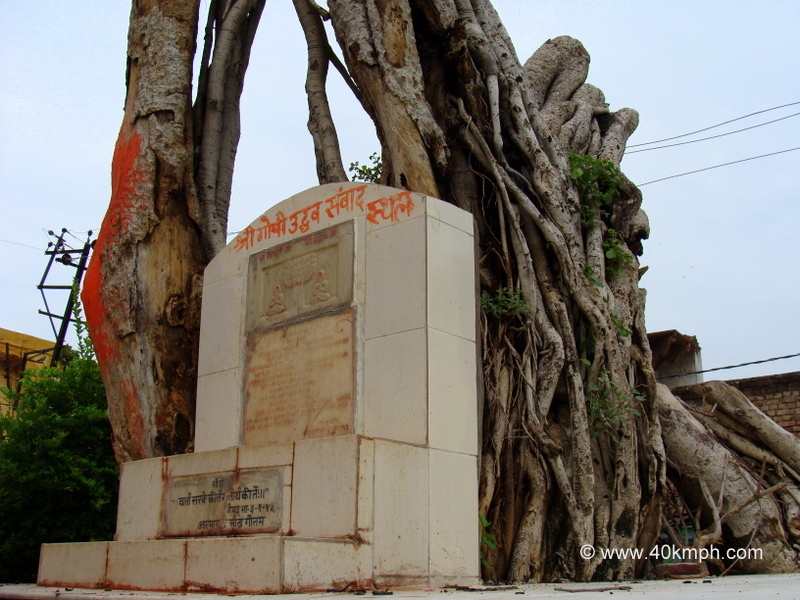 Vrindavan – Vrinda is Tulsi, Van – The forest as per Hindi to English translation. Years ago there were lots-n-lots of Tulsi within this area thus it is named as Vrindavan. Till-date lots of Tulsi plants are within most of the homes. This is the place where Lord Krishna spent his childhood days. Even many saints and Dhruv as well. I and Ram Krishna walking and talking. Ram Krishna is a guide, a friend. He knows Vrindavan very well. Gyaan Gudri – He said. What is Gyaan Gudri? – I question. When Lord Krishna left for Mathura he sent his closest sakha (friend) Uddhava to Vrindavan with a message for Radha and Gopis as they were missing Lord’s presence. But opposite happened. Uddhava was preached by Radha and an impact was made thus, Uddhava stayed at Vrindavan till Nanda Baba forcefully sent him back. In-short Gyaan Gudri is the location where Radha along with Gopis preached Uddhava. Even Vidura visited this location. Hanuman temple is within the area and Radha’s feet as a symbol. Till-date if someones die within Vrindavan people take a parikrama of this area so that there is no re-birth for the person – it is believed. Even the Braj-Raj (Vrindavan dust) is so pure it is showered over the dead body for the mukti of the person. People love to roll on ground to apply dust all over their body. Why they do so? Because Lord Krishna and many great saints feet had touched Vrindavan thus it is pure. Thank you Ram Krishna – said I. Knowledge enhanced.